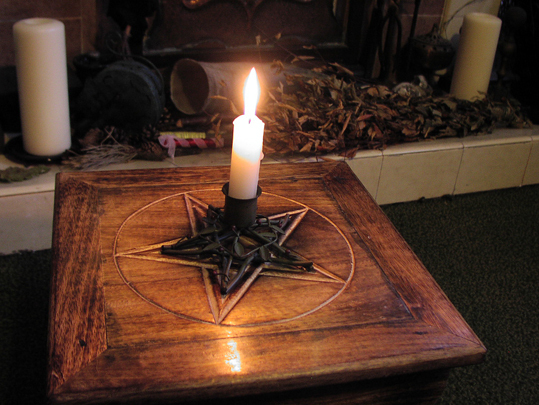 Do you think you can have too many candle holders if you are a witch? Probably - but I still couldn't resist adding this one to my collection. 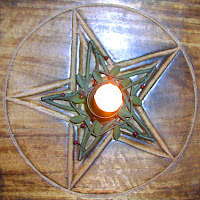 It is a metal candle holder designed to look like a pentagram formed of twigs intertwined with green leaves and berries. I found it in a charity shop and am particularly delighted with it because when I got it home I realised it fitted perfectly in the engraved pentacle on my small wooden altar. The first first few weeks of a new year are always great for charity shop finds. So many people have a clear-out after putting away all the festive decorations. I also find it is a great time for buying craft kits cheaply. 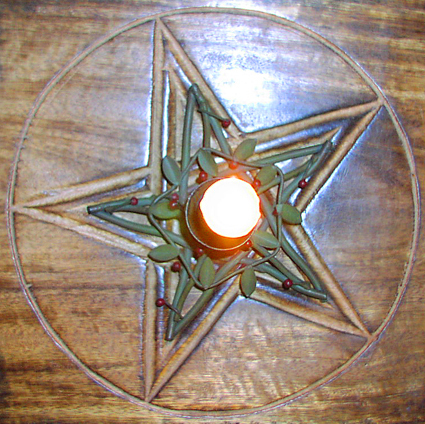 In the past I've spotted several candle making kits in charity shops at this time of year. Mind you, I probably do have a few too many candle holders in my collection now. Perhaps it is time to ring the changes and take a few I rarely use down to the charity shop to make space for more lovely finds.